Earn an additional 100 Chope-Dollars (C$) with the promo code CAP100 when you book to dine in the month of April! In addition, upon the fulfilment of 3 reservations across CapitaLand malls, CapitaStar members will be awarded a $10 eCapitaVoucher! Simply snap and upload the corresponding dining receipts to the CapitaStar app to qualify. • Limited to one redemption per restaurant, per diner. • Limited to the first 50 redemptions per restaurant. 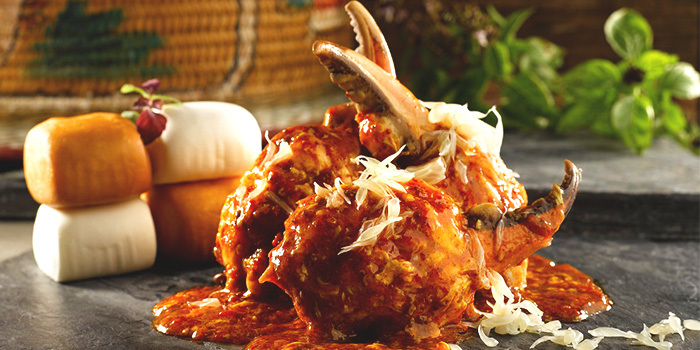 • Limited to restaurants located within CapitaLand Malls. Please click here to view all the participating restaurants. • Reservations have to be made and fulfilled in the month of April. • Reservations have to be made via www.chope.co or the Chope app in order to be eligible for the offer. • This offer is not valid in conjunction with ongoing promotions and discounts unless otherwise specified. • The promo code has to be applied in the 'Code' field during the reservation process in order to be eligible for the bonus. Promo codes stated in the 'Message' section will not be considered. • Reservation cancellations and no-shows will not be awarded the additional C$. • Strictly no extensions will be provided for the promo code. • Upon fulfilment of 3 reservations within the campaign period, diners will be rewarded with a $10 eCapitaVoucher. • The mobile number used for the reservation has to match the mobile number tied to your CapitaStar membership for successful awarding of the eCapitaVoucher. • Limited to one redemption per diner. • Diners have to be a CapitaStar member, snap and upload their corresponding dining receipts from the reserved restaurants to the CapitaStar app to qualify for the promotion. • The eCapitaVoucher will be automatically credited to the CapitaStar app by 31 May 2019. • Click here for the full CapitaStar T&Cs. • Click here to find out more about eCapitaVoucher. 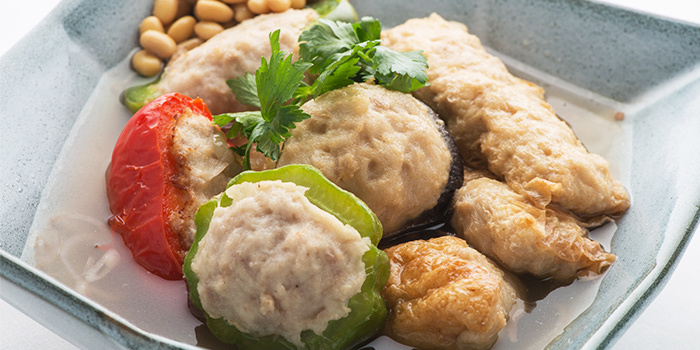 Chinese cuisine goes on on a journey to the West and back with Lokkee, a witty homage to Hollywood's Chinese favourites; think chow mein and fortune cookies. 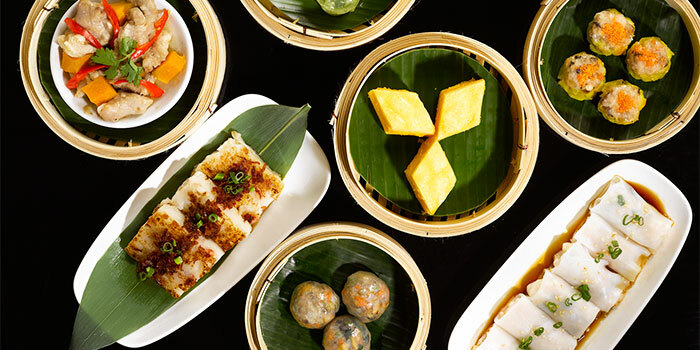 A distant cousin to what we expect in Singapore, at Lokkee, Global Chinese Cuisine is reinterpreted and elevated through fresh, top quality ingredients and clean flavours. 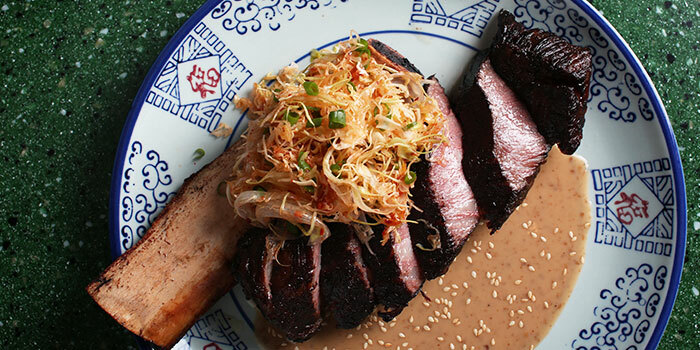 The Awesome Flaming Pineapple Beef, once a gimmicky Chinatown classic, here contains tender Thai beef smothered in pineapple curry. Tender, sweet, and undeniably Instagrammable, it definitely lives up to the Awesome part of its name! If you want to keep the fires burning, continue with the Firecracker Chicken Nest, a popular Sichuan dish of fragrant diced chicken tossed with dried chili and cashew nuts. Lokkee isn't just cult classics done well though. There's an undeniable finesse and technique guiding each dish out of the kitchen, perhaps best seen in a deft application of molecular gastronomy; mango puree masquerading as egg yolks in the Chicken Nest. Pre-purchase Chope Vouchers for Lokkee and get 10% off. This offer is not valid with 'Chope Exclusives', other discounts and promotions. Racked up enough Chope-Dollars? 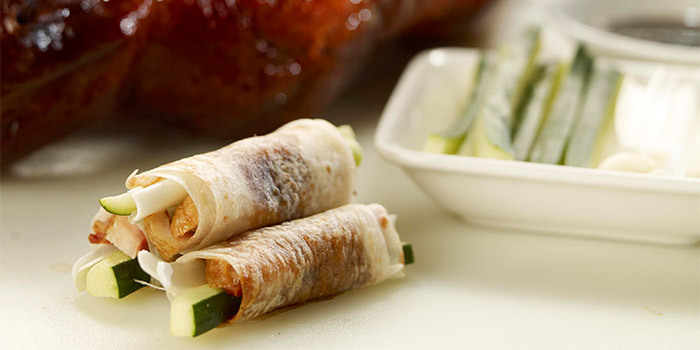 Redeem them for vouchers at Lokkee worth $10, $20 and $30 here. Chope-Dollars are rewards earned by diners when they successfully book and dine at restaurants through Chope. Click here to find out more.